There are several differences between memory foam pillows and more traditional pillows. You will find that traditional pillows tend to be filled with more natural substances, such as goose down. While the filling of traditional pillows is often more organic in nature, this does not mean that there is anything wrong with synthetics. 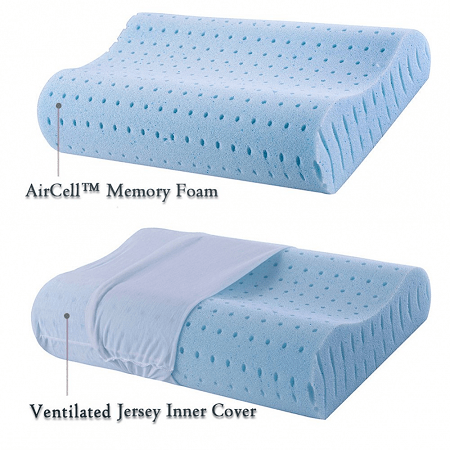 Synthetic materials are used to fill memory foam pillows, when applicable. Otherwise, you will find that memory foam pillows are fashioned out of a block of memory foam. You will find that memory foam pillows tend to be much more capable of conforming to the curvature of your head and neck when compared to regular pillow types. While different types of pillows are different, regardless of whether they are traditional pillows or memory foam pillows, you will find that pillows of a type share certain characteristics. For example, most people will agree that memory foam pillows are more comfortable than other pillow types, which allows for better sleep. Another aspect in which memory foam pillows are superior is in their support. While traditional pillows will push your head up while you sleep, you will find that memory foam pillows instead surround your head and neck. While this allows for greater comfort, you will find that it is better for keeping your spine in alignment as well. You will find that many memory foam pillows can also be adjusted. Where the inner case of regular pillows can almost never be opened up, you will find that this is usually not the case for memory foam pillows. This finer degree of adjustability ensures that you will have few issues with stiffness and size. As you can see, memory foam pillows differ largely from more conventional types of pillows. If you are looking for the most versatile pillows around, you will find few better choices than memory foam pillows. The ease of cleaning of your memory foam pillows is something that you should consider before making your purchase. You will find that a pillow which is easier to clean is more convenient, as it will spend less time off of your bed. Along with ease of cleaning, it is also important for your pillow not to absorb dirt too readily. If your pillow attracts dirt and dust, you will find that it can easily make you sick or result in your allergies being triggered. This is one of the reasons why the vast majority of memory foam pillows are both hypoallergenic and anti-microbial so that you can be protected from respiratory issues. Most memory foam pillow types can't be cleaned in the washing machine without incurring some serious damage. Models which can be used in the washing machine are few and far between, so if you see one, you may wish to invest in it, as it will save you a lot of time spot cleaning. You should also consider the covers that come with your memory foam pillow and the manner in which they need to be washed. If you are looking to cut down on the work that you have to do to maintain your memory foam pillows, you will find few better options than one which can be cleaned easily. This memory foam pillow is made by Cr Sleep. It features a design with two contours which makes it well suited for most users, regardless of how they sleep. While this pillow is pricey, it is still one of our favorites. This is an excellent product which is well worth the money that you may end up spending on it. A unique feature is a dual-contour design which ensures that you will be able to sleep on this pillow regardless of your sleeping style. This pillow is recommended for use by all three types of sleepers: stomach sleepers, side sleepers, and back sleepers. Simply rotate the pillow into the most comfortable position for you and you will be able to take advantage of the contoured design. This pillow even features a machine-washable outer cover. As with most memory foam pillows, this model is resistant to allergens and microbes, so you don’t have to worry about sickness and other, similar issues. The purity certification of this memory foam contour pillow ensures that you will not have to worry about any potential health scares. Other customers also had quite a bit to say about this memory foam pillow. Most of the reviews mentioned the two different contour heights which make this pillow much more versatile than other products. If you want the most accommodating memory foam pillow, you will be hard-pressed to find a better option. There were also a few negative reviews about this product, stating that it is a little too firm for the tastes of some buyers. This pillow also was criticised for its inability to be machine washed, which necessitates a lengthy manual cleaning process. 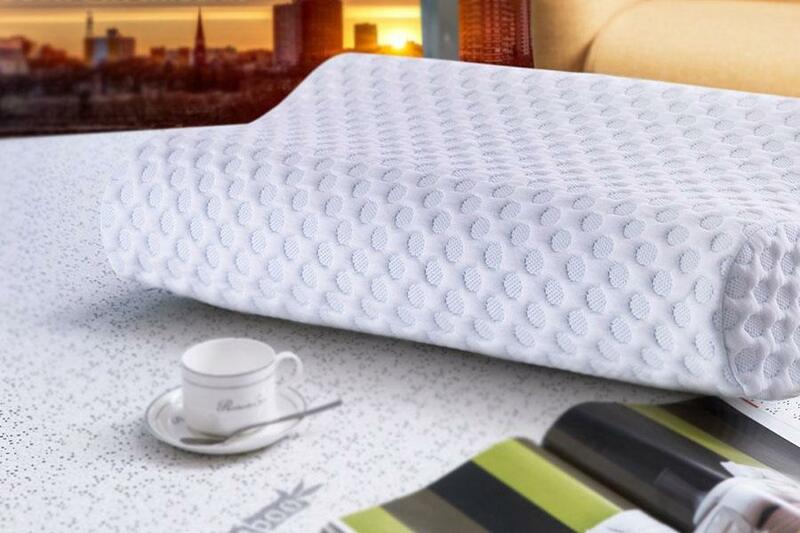 Keep in mind that this memory foam pillow is one of the more expensive models that you will come across, but the quality ensures that the price is worth it. If you don’t mind spending a little bit extra on your pillow, you will probably be a fan of this product. It can be bought for 90 dollars. If you want a quality memory foam pillow, you have found the ideal model. While it is slightly let down by the elevated price, you may end up finding that the superior build quality is worth the price.